Simon & Schuster Books for Young Readers, 9781481401418, 96pp. The story of famed boxing champion Muhammad Ali is more appealing and accessible than ever before when told as though it’s happening in real time, through photographs and ephemera such as report cards and training regimens, and through newspaper articles, interviews, letters to the editor, and “breaking news” radio and TV transmissions that have been created by the author based on his extensive research. From the Civil Rights Movement to the Rome Olympics, from joining the Nation of Islam to refusing to fight in Vietnam, Muhammad Ali’s fascinating life is interwoven with historical moments throughout the twentieth century to today. Barry Denenberg is the author of many critically acclaimed biographies and nonfiction works. He has written on a wide range of people including Nelson Mandela, Charles Lindbergh, Jackie Robinson and Elvis Presley. His innovative books on Abraham Lincoln (Lincoln Shot), Muhammad Ali (Ali: An American Champion), and on the sinking of the Titanic (Titanic Sinks! ), combine narrative with illustration and photography in a unique format which reviewers have called “history at its best” (Kirkus Reviews, starred review). Denenberg is also known for his many memorable books in the Dear America series—most notably When Will This Cruel War Be Over? : The Civil War Diary of Emma Simpson, a title that won the Jefferson Cup. Denenberg divides his time between New York City and Westchester County. "The accessible layout will connect especially with reluctant readers. . . . Ali makes a near-perfect subject for this eye-catching example of creative nonfiction." 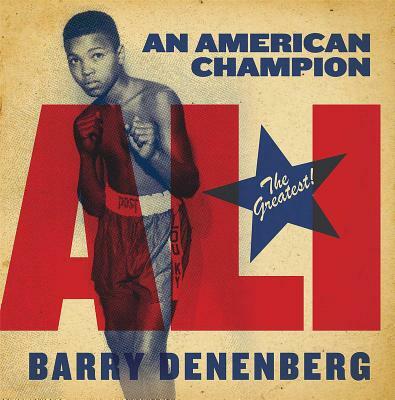 "A first-rate biography of an American legend. . . . Denenberg does an excellent job of capturing the era, and this book will serve as a gateway to discussions and lessons about this time in American history."